After nearly 8 years in China, I’ve met a lot of foreigners and heard many surprising stories of some of the challenges they face in their jobs, especially when working for Asian companies. In most cases, the employee made assumptions about their job and their employer based on their experience with Western companies. Others didn’t fully understand what was expected of them and what they would have to do. This can lead to pain, frustration, embarrassment, and financial loss. Please don’t make lots of assumptions and assume that everything will be like it is back home. You need to ask a lot of questions! If you find yourself saying, “I’m sure it will be OK” or “I trust it will be fine,” you may have a problem. 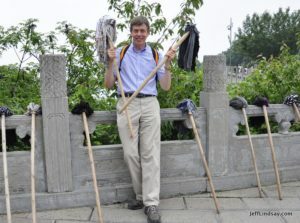 In a very foreign culture with different laws and different levels of compliance with those laws, it’s much better to be asking, “What could go wrong?” Some of the questions you might want to ask may seem a bit bizarre, such as “Do I need to bring my own mop?” It’s a fair question, though tongue-in-cheek in most cases, as explained below. Can I see the contract(s) you want me to sign before I resign my current job and show up for work in China? Sometimes the “standard” contract your company will give you when you show up for work will be a shocker. 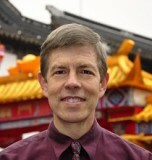 You may find the salary you agreed upon is not what is in your contract, that the benefits that were promised are not in the contract, and that troubling provisions are in the contract, such as a rejection of many of the normal employee rights provided by China’s generous labor laws, and even a requirement that portion of your income will be withheld for some period of time and perhaps only given to you if certain goals are achieved that you may not be able to control and achieve on your own. When you ask about the benefits or other terms you have negotiated, the response may be, “Of course! But that’s just verbal. Trust us.” Realize that the HR person saying that may be totally sincere, but several years or weeks later he or she may be gone (HR turnover is intense in China) and the new person will not believe you when you bring up the verbal agreement that supposedly was made. Contracts may not always mean a lot in China, but verbal agreements with people who are no longer around mean even less. Can you put that in writing? Don’t assume that any of the benefits and other terms you have negotiated will be put into writing in your contract. Be prepared for that, which is usually something that we gullible foreigners have not even imagined as a possible risk. I suggest that you insist that everything is in writing. At a minimum, have emails confirming the terms before you accept an offer and keep copies, copy other witnesses, etc., to create a paper trail, and have dated and signed printouts of those terms witnessed and notarized as a defense (get them notarized in China also, if you can, or at least signed by Chinese witnesses), but also realize that the paper trail may not do all that much for you if you don’t get those terms in the contract. Will I have a legitimate work permit and a work visa? Sadly, many companies bring people here on a tourist visa and have them work illegally. This can get you detained, fined, and deported. 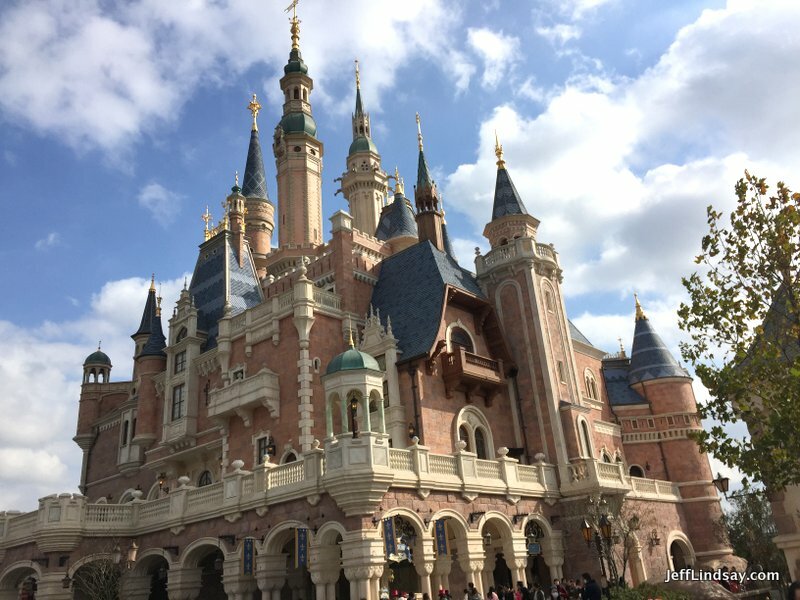 If the company is not actively working to get documents needed for a visa long before you come to China, they may be planning to rely on your tourist visa, even if they promise they will get you a visa once here. Sadly, I know too many English teachers who get into awkward situations when some of the companies that bring them here don’t properly provide work visas for them. Sometimes the company tries their best but the Chinese side (a company or school) takes short cuts and put the teachers at risk. Ask lots of questions. If there is uncertainty, be sure to try out the bonus exercise I give at the end! Are you going to split my income to evade taxes? Sadly, some companies use a practice of splitting a foreign employee’s pay, with part of the salary being paid to a Chinese bank account, and another part being paid to a bank in the employee’s home country, typically using some foreign (non-Chinese) agency to wire money to the home country. That system is convenient for getting money to your home bank account, but the problem is that the employer typically doesn’t report the foreign income to China and only withholds Chinese taxes for the China income. Ex-pats generally don’t understand that taxes aren’t being paid on the foreign income when this happens, and it can be a devastating shocker to eventually learn what might have been going on and how much risk and gargantuan penalties you potentially face. There are cases where an employee in China may do genuine work for oversees entities that may justify offshore income, but you should check carefully into this matter and get legal advice before accepting split income arrangements. Do not risk getting into trouble in China, and do all you can to respect Chinese law. If you find your company is not respecting Chinese tax laws, it’s time to resign. 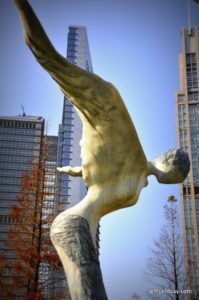 For some good guidance, see these articles by Dan Harris at the China Law Blog: “China Expat Pay: Splitting with Hong Kong is 100% Illegal and 200% Dangerous (Part 1)” and Part 2. 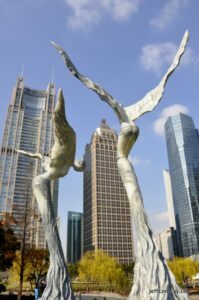 Will you respect Chinese Labor Law or will my work contract say I have essentially no rights (e.g., no severance pay, etc.)? Some contracts say that there will be no benefits or rights except for what is mandatory under China’s labor laws. That means no severance pay, for example, and other potential disappointments. When I leave, how much notice do you require? If you are asking me to give, say, three months of notice, will you respond to my resignation notice by exercising your right to terminate me with 30 days’ notice with no severance pay? Yes, this absolutely can and does happen, even for employees who have seemingly been loyal and valuable workers for many years. It’s an ugly way to treat an employee, but there are often incentives for some people in the company to lay off a certain number of people, so they might jump at the chance to turn a voluntary resignation into a lay-off that gets them credit for their own KPIs, so I’ve been told by a China expert. The employer will always retain the right to fire you with 30 days notice (some will give less and dare you to sue), so if you are asked to give more notice than that, point out that this is unfair and either change the contract to require 30 days or consider a provision that gives you compensation if they refuse to respect your advance notice and respond by giving you 30 days notice in return. 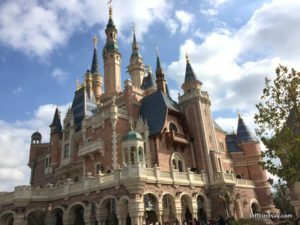 How much cash will I need to bring to get started with housing and everything else in China? Many people don’t understand that the company is not going to help you with housing at all or that at most they will provide some monthly stipend toward housing, but only after you have found your apartment and paid the huge fees and deposits required to get started, and then present your company with an official receipt for your first month’s rent. 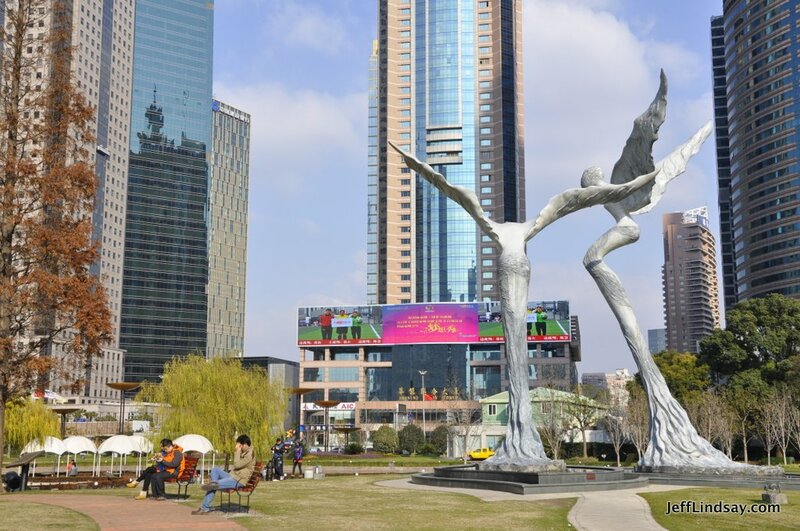 If you are renting, say, a 15,000 RMB/month apartment, you may have out-of-pocket expenses from paying your first month’s rent plus a deposit of two-months’ rent, plus a rental agent fee of 35% of a month’s rent, adding up to a little over 50,000 RMB, or nearly $7,400 in cash before you receive your first paycheck and long before you’ll get your first housing stipend for some portion of your monthly rent. It’s expensive to start working in China. Are you ready? Will housing benefits and other benefits begin as soon as I start, or is there some minimum term of service required before they begin? Which ones actually begin on day one? And can you put that into writing? One friend relied on the promised housing stipend in selecting a nice apartment, more expensive than he might want if paying for it on his own, but only later found out that the significant housing benefit would only begin after several years of service. Ouch. To begin my job in China, will you bring me through China customs in the normal legal way, or will I be smuggled in by, say, crossing a mountain along the Vietnam border? If your employer turns you over to a smuggling team and requires you to march through the jungle or scramble over a mountainous border to sneak into China, or even if you come through a legal port but are just whisked into China through a “special lane” without your documents being checked and entered into China’s system, you are entering illegally and will have a world of trouble to face, especially if your employer takes away your passport, making you almost like a slave. This usually doesn’t apply to people coming here to work for higher-end jobs that require college degrees, but often applies to those coming to be maids or “ayis,” as is the case for many women from the Philippines. They are often taken advantage of in many ways due to their lack of legal status and their fear of seeking legal protection when they are cheated or abused. Don’t enter China illegally! Will my health insurance actually help if I need surgery? And will it help my family or just me? Health care is fairly inexpensive in China, unless you want care provided by Western-style clinics or hospitals. Even if you rely on less expensive local hospitals (I love Shanghai East and it’s inexpensive VIP clinic, for example), you may be disappointed with how little your corporate health insurance covers. And insurance packages usually just apply to the employee, but may offer an option to purchase a plan for your spouse or children. Learn early what you are getting, if anything. Will I be required to work on Saturday and Sundays? Can you put it into writing that I will have my weekends free? Sometimes corporate leaders launch campaigns to increase productivity, or the appearance of productivity, by requiring employees to start coming in on Saturdays or weekends. That’s really hard on ex-pats who come here hoping to experience China. Hard to experience it when you are trapped in an office all week long. Those coming here to teach also often find that there are school shows and performances held on weekends that they are required to be at. Unexpected duties tend to crop up with little notice, after people have purchased plane or train tickets, or even during holidays. Keep your weekends free and try to get something in writing to that effect. Even then, you will see that big national holidays often involve turning a Saturday or Sunday into work days to add more vacation days to a holiday. This can be frustrating. 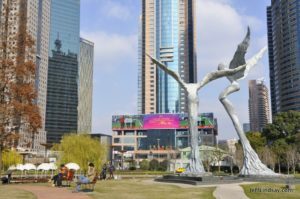 Will critical corporate announcements all be in Chinese? Will there be any translation help for me? 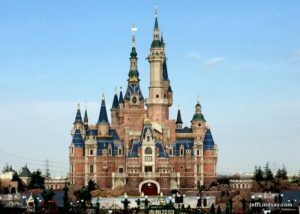 Even large multinational companies will tend to have at least some important email and documents sent to employees in Chinese only, and many won’t take any pains to provide translation. If you are not a Chinese speaker, this can make life difficult. Learn Chinese, make friends with Chinese speakers who can help you, and find ways to cope. What documents do I need to bring to get my work permit? The rules have evolved on this critical issue, but have long been surprising. For example, when I came in 2011, I learned that I needed to bring my ORIGINAL diploma from BYU. In the US, people often don’t care about the diploma. It’s just a pretty document that we don’t really care about, but it’s a big deal here. You may need to contact your school to get a notarized physical copy of your diploma to work in China. And there may be a number of other original documents you need: your wedding license, your birth certificate, a letter from your former employer, etc. One friend of mine is unable to get the promotion he has long deserved because the small college that issued his diploma long ago has failed and is no longer, making it impossible to get a physical diploma now. A disaster for him, I’m afraid. Do I need to bring my own mop or broom? OK, joking, of course, but there’s a point here: sometimes wonderful sounding jobs with lofty titles turn out to be painful and rather menial. You might think you are in charge of something major, and find out that in reality you are just mopping up after someone else. The best way to prepare is to talk to people in the company or who once worked for the company to understand what the job is really likely to involve. I talked with several former and current employees before making my decision, and that was really helpful, though I still had some surprises. But many pleasant surprises as well. I’ve had a wonderful 8 years here without too much mopping, and a lot of excitement that has swept me away at times. No matter how much you try to pin things down, understand that things tend to change rapidly in China, so be prepared to be flexible. (Also be prepared to walk away if things turn out to be really shady.) In my case, for example, I was supposed to work here for one year, and then I would be brought back to the US to be part of a US expansion team. That sounded perfect. About one year later, as I wondered why I wasn’t hearing anything about the US expansion team, I asked around and learned through the grapevine that the U.S. expansion team had been fired and no longer existed, and all plans for my return to the US had been dropped. It was a surprise, but a very fortunate one in my case because one year would not have been long enough. Whew! I’m so grateful for that unexpected change. But in Asian companies, as many ex-pats have found, you may have to ask and inquire persistently to learn of these big changes or upcoming problems because communication to employees might not be a strong point of your particular company, nor will it be one of the KPIs for HR. Now, for those coming here as English teachers, one of the jobs with a relatively high risk of trouble, here’s a physical exercise that may prepare you for your day-to-day work, especially if your company is not going to arrange for a legal work visa for you before you arrive. (If they tell you that all you need is a “student visa” and that you will be a student just doing “volunteer work” as a teachers, you might need this exercise, especially if you are being paid anything and especially if you are in a more developed city like Shanghai.) It’s a fun exercise, even a game, called “What Foreigner?” It’s something you should play a lot to be prepared so when you play it here for real, you’ll be ready. It takes 3 people to play, but you can get by with only two players if one does double duty. You are the foreigner, and you need to begin by standing in a room in your home, school, church, or other facility with multiple rooms. We’ll call that facility “the school.” That room will be “the classroom.” You will hold a textbook or other objects that help you feel like you are in the middle of teaching a class. Act like you are teaching. Did you get out in time? Whew! Congratulations! Now do it again. Best to practice now so you’ll be ready. And yes, for those who don’t get US-style humor, I am making a joke here. I do not support violation of law in China, and recommend that you do not accept illegal work in China! Those who end up teaching in questionable English programs, working illegally as teachers, end up in lots of difficult situations where they have to run or pretend to be students. If you are teaching a class for pay, you are working and need a work visa. China is increasingly rooting out these illegal operations. I suggest you don’t take risks and strive to diligently adhere to Chinese law. Even if you do all you can to be legal and everything looks good, you may find that your company or agency has done something illegal that may affect you. For example, a couple of teachers we knew thought they were completely legal, teaching for pay with a legal work permit in Shanghai, but it turns out that a local agency had falsified their application for a work permit in order to meet Shanghai’s strict requirements and claimed that they had advanced degrees and more years of experience than they really had, which is a serious crime that can get you deported. When the US company that brought them here as teachers learned of this, they realized that the couple was in grave danger and had to rush them out of the country without even a chance to say good-bye to their students. If you can, look at the documents being submitted for your work permit and visa and make sure that nothing has been falsified. If you are coming to China, congratulations! It’s the most exciting and wonderful place I’ve ever been. Working here has been the most exciting (though occasionally the most painful and frustrating) part of my career so far. But ask lots of questions and do all you can to be legal and to respect China’s laws. In the state of Utah, Salt Lake City’s Deseret News recently carried a touching but slightly downbeat article about China’s most popular basketball player, Jimmer Fredette, the impressive star who once stunned American crowds while playing for Brigham Young University. The article is “Lonely Master: From March Madness to Shanghai, the Unlikely Journey of Jimmer Fredette” by Jesse Hyde, published March 12, 2018. It has a lot of positive things to say about Jimmer and his accomplishments in China, but the general tone of the article is that Jimmer has missed out on his US dreams and thus has settled for something painfully inferior by coming to China, a grim and gritty place. I think there’s another perspective that ought to be considered. Yes, the CBA is a far weaker competitive field than the NBA, and yes, it is disappointing that his NBA career did not give him the opportunities and satisfaction he sought. But don’t shed too many tears for Jimmer: things might not be as grim as the article implies. The negative picture painted of China is quite disappointing. It’s a beautiful, exciting place where Jimmer is visible and influential to millions of people in ways that would not be possible in Europe or the US. I have met Jimmer and chatted a few times but don’t know him well nor can I speak for him. But what he is doing here is remarkable and has touched many people. His goodness, his honesty, his humility, and his high standards have also helped him touch people beyond what his athletic skills alone could do. For someone who possibly may have a sense of a mission higher than personal temporal success alone, coming to China brings many opportunities to achieve greater good, while also benefiting from a shorter season and excellent pay. Win/win from my perspective. His presence in China is part of something big, at least in the minds of many of his BYU-related fans here. 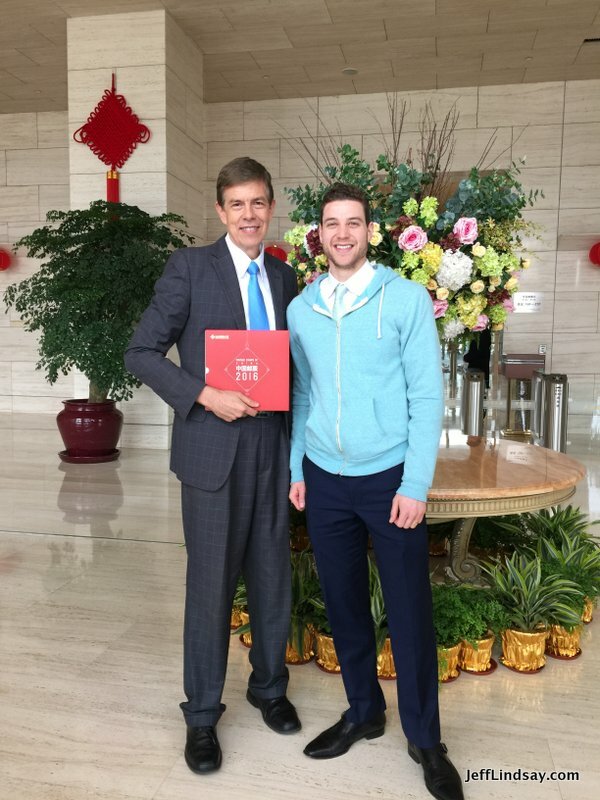 One of those fans, a Communist Party official, requested a chance to meet Jimmer last year. I was honored to be part of the little gathering where introductions were made. Jimmer with his characteristic class and humility brought gifts for the Chinese men who had come — framed photos of him as keepsakes. They were thrilled. Before Jimmer showed up, one man in the small group, a business leader in charge of the large complex where we rent some beautiful space to hold LDS services, chattered excitedly about Jimmer and quoted statistics from Jimmer’s games when he was at BYU and in China. Kid in a candy shop when Jimmer arrived. The official had gifts also, a terrific album of Chinese postage stamps. It was a beautiful souvenir for each of the foreigners at this event, which I’m proudly holding in the photo below. With typical Jimmer class, Jimmer noticed a couple of keenly interested staff members from the little cafe where we met and invited them to get their photos taken also. It was a big day for all of us. At this point in reading the article, I wondered if the staff of the Deseret News have ever been in Salt Lake City during the winter months, when the winter inversion traps air in the Salt Lake Valley and leads to painfully high levels of particles, nitrogen oxide, and other pollutants? Of if they have ever been near operations of the massive copper mine that scars the Valley? Or drove through Utah County in the days when the Geneva Steel works were cranking out massive whiffs of chemicals into the air? Or if they have lived near a paper mill in the United States? Shanghai air can get smoggy and is typically worse than most places in the US, but apart from an occasional painter using oil-based paint or a vehicle burning too much oil, as in almost any city, noticeable “whiffs of chemicals” are something I generally don’t experience here, unless those chemicals include the cinnamon aromas coming from Shanghai’s amazing Cinnaswirl bakery with world-class cinnamon rolls, or from the intoxicating smells of any of the hundreds of different cuisines available in Shanghai. OK, we do have stinky tofu, which does have a noticeable smell from its unusual natural chemistry — maybe that’s what the writer encountered here. But you can just take a few steps and be free of that. China has pollution, certainly. There are spots that are gritty or grimy, just as in America. 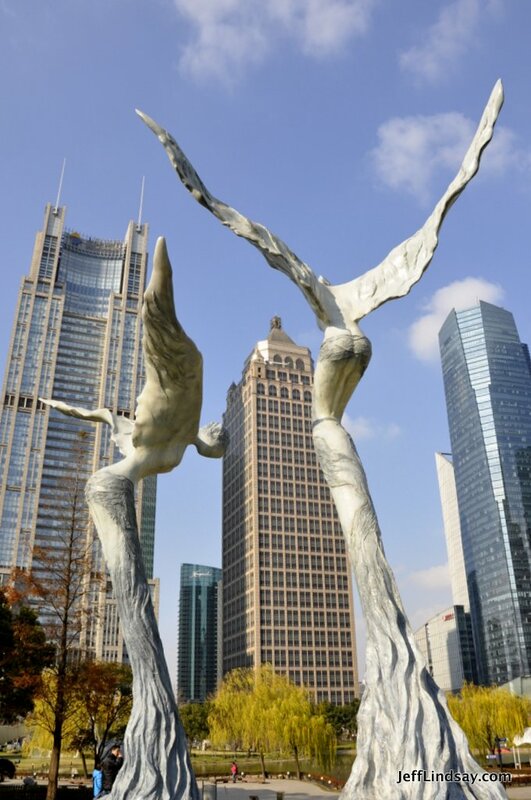 But it’s also one of the most beautiful and exciting places to live, especially Shanghai. For me personally, my respiratory health during my nearly seven years in Shanghai has been much better than it was in the US, where I would often get bronchitis or other issues in winter. Here it’s been great and I’ve almost never had to miss work due to illness. One or two days for an injury, but my health has been terrific. Part of that is from the food, which is high in fresh produce and generally quite healthy. Come give China a chance. It’s one of the nicest places in the world, in my opinion. 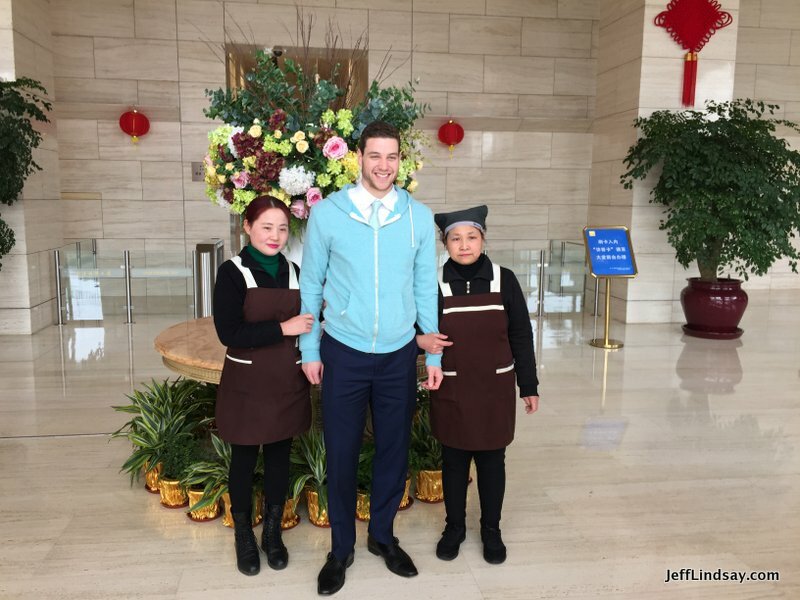 Anyplace is grim when you are away from family, but with such a short playing season, we hope that Jimmer can continue to thrive here and increasingly experience the beauty and wonders of China while here. As a reminder of the surprising beauty and sometimes even miraculous nature of life in Shanghai, here are images of one of Shanghai’s secrets: its impressive angels rising from the ground to watch over this city. May Jimmer continue to be among them. Finally, here’s a couple views of one of Jimmer’s favorite Shanghai spots. People pursuing a new business concept on their own should quickly consider forming an LLC (Limited Liability Corporation) to prepare for that business and limit their liability. And even before that, it’s important to protect your proprietary information using Non-Disclosure Agreements (NDAs), also called Confidentiality Agreements (CDAs). These are agreements in which the other party agrees to keep confidential information secret for a period of time (typically 2 to 5 years) under certain stipulations. It is vital to use these as you talk with others about your business plans or invention, or you may find someone else marketing it. IPWatchdog.com’s page on confidentiality agreements is a good place to read about NDAs and to see some great sample documents ready for you to use. A lof of people ask me if I’m a patent lawyer. No, I’m a patent agent, and there is a significant difference, but some areas of overlap. Both patent lawyers and patent agents can prepare and prosecute patents before the United States Patent and Trademark Office (PTO). Both have become licensed to do so by passing the PTO’s own bar exam. The area of patent law is so different from other aspects of law, with its own unique codes and procedures, that it has its own bar exam supervised by the Federal Government. People with a technical degree or technical experience can take the bar exam and become patent agents or, if they already have a law degree, they can become patent lawyers (patent attorneys). A patent agent can only practice patent law before the PTO. When it comes to other aspects of the law, such as preparing an assignment of a patent, suing someone for infringing, or dealing with patent law before a court, patent agents are powerless. These matters require a qualified attorney. Patent agents are often hired to assist attorneys or corporations in drafting patents or in supporting patent work. In my case, I was already employed in research and engineering, pursuing patents and patent strategy, when I saw a need to expand my skills. I began studying for the US PTO’s patent bar exam that I took and passed in 1996, with the help of an excellent patent bar exam course offered by Patent Resources Group. I completed additional requirements and became registered as an official US patent agent in 2007, the first employee of my company to become a patent agent, as far as I know. Doing so has opened many doors to me and has helped me be more effective in my research work and in my work to guide and develop patent strategy. If you have a technical background and an interest in patents, I would encourage you to consider becoming a patent agent. And if you’re interested in a law degree, take the extra time to also become a patent attorney. There is great demand for skills in patent law, and it’s an exciting area to pursue.